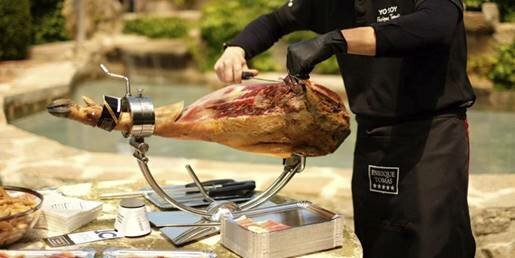 Naturally a good event must have a good Spanish ham- Jamón available! We are much certain about this. The best way to make your event or celebration special and original is by having one of our ham carving experts slicing a delicious ham for your guests. With our ham carving expert, you will get best quality and best service. You may choose the Jamón that best suits your taste and budgets. Service in all Spain available (Iberian Peninsula, plus Ibiza and Mallorca) and London.